More works from SereneDean, or view SereneDean's home. More works from ygimvu, or view ygimvu's home. More works from Lucynda, or view Lucynda's home. More works from anig, or view anig's home. More works from NerxualOh, or view NerxualOh's home. Koinup, the coolest place to share your Second Life Pictures. Discover the coolest Second Life Photos; share your Postcards and Screenshots. Make portraits, share awesome windlight pictures! Share your Videos and Pictures, meet cool people. 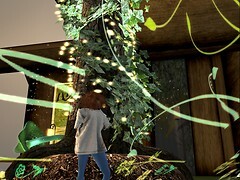 Join the Second Life Pictures Community on Koinup!